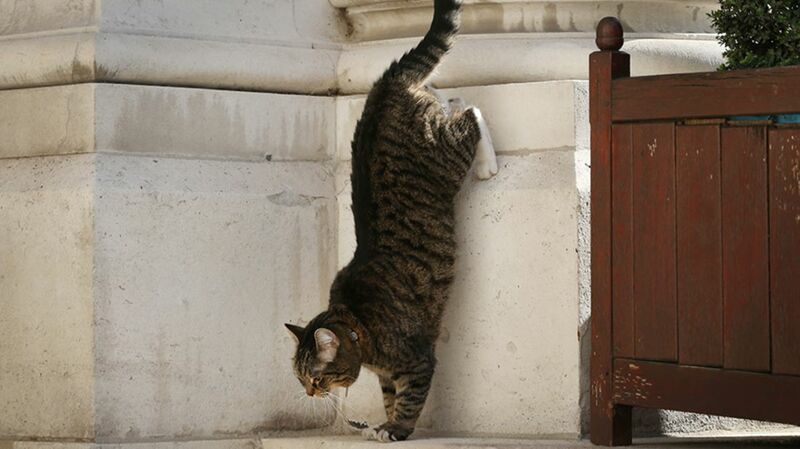 Back in 2009 George Osborne’s cat Freya went missing. No one thought much of it until a few years later, after Osborne became Chancellor of the Exchequer and moved into number 11 Downing Street, right next door to the British Prime Minister. Shortly thereafter, he received a phone call notifying him that Freya had been found, and she was welcomed home by the Osborne family. However, eyebrows were soon raised after Freya began waltzing in and out of some of the government’s most sensitive buildings, and some whispered that she might have been captured by a foreign power and bugged. In 2014 Freya was sent to live with another family in the Kent countryside, supposedly after being usurped by Osborne’s new dog, but some may wonder if her habit of infiltrating the heart of government may have been the real reason. In January 2016 an enormous vulture (its wingspan was 6 feet, 5 inches!) was captured flying over Lebanon after arousing suspicion because it had a tracker on its tail. Lebanese villagers seized the poor bird and accused Israel of training it as a spy. In fact, the bird was part of an effort by Tel Aviv University and others to re-introduce raptors to the Middle East. After a few ruffled feathers, the vulture was returned to Israel. A dead falcon found in the border region of India and Pakistan in 2013 aroused suspicion after a small camera was discovered on its body. India seized the remains and speculated that the falcon may have been trained to spy on the Indian army, who conduct war games in the area. However it soon became clear that the camera was not sophisticated enough to have been planted by an intelligence agency and instead it was thought to have been used by Pakistani hunters. After a series of shark attacks in the popular Egyptian Red Sea resort of Sharm el-Sheikh in 2010, rumors in the Egyptian press accused Israeli intelligence agency Mossad of training the beasts. It was thought that the shark might have been deliberately planted in the area in order to damage the tourist trade. Israel vehemently denied the accusations and pointed out that they too had beach resorts on the Red Sea, meaning that any shark in the area was a danger to Israel as well. During the Napoleonic Wars between England and France in the early 19th century, a French ship was wrecked off the shore of northeast England. According to local legend, the inhabitants of Hartlepool gathered on the beach to see off their enemies but found only one survivor, a monkey dressed in a miniature military uniform. Never having seen a Frenchman before, the townsfolk immediately suspected the monkey of being a French spy and questioned the unfortunate beast, who unsurprisingly failed to answer their questions. After an impromptu trial, the monkey was convicted of spying and hanged. Hartlepool remains strangely pleased with this historic incident and their soccer team has a monkey mascot named H’Angus the Monkey, while the rugby team is affectionately known as the Monkeyhangers. Hamas captured a dolphin off the coast of Gaza in August 2015 and accused Israel of equipping the animal with spying devices. Israel did not respond to the allegations, but it would not be the first time a dolphin has been used in the military. The U.S. Navy has long had a program to train these highly intelligent animals, but rather than being trained to kill, the dolphins are used for peaceful missions to identify mines and underwater threats. A plucky Egyptian fisherman captured what he thought was a swan wearing a suspicious electronic device in 2013. As pictures of the jailed bird emerged, it soon became clear that it looked more like a stork. This mistaken identity did not prevent the Egyptians from accusing the French of training the bird as a spy. The incident soon blew over when it was revealed the swan/stork was in fact wearing a tracking device in order for academics to study its migration routes. Declassified documents released by Britain’s National Archives reveal that two cats and a dog were suspected of spying for the Germans during World War I. The cats and dog had been observed frequently crossing the British trenches on the Flanders front line, arousing suspicions that they may have been carrying messages from the Germans. The archives reveal that the British were keen to capture the animals but unfortunately no records survive to indicate if they achieved their goal. Although these stories may seem far-fetched, there have been incidences where intelligence agencies explored the idea of animal espionage. Declassified CIA documents revealed a 1960s effort to wire up a cat as a remote listening device, with its tail used as an antenna. The project, dubbed “Acoustic Kitty,” was abandoned after the unlucky feline was sent into a park to eavesdrop on some men sitting on a bench but was run over by a taxi before it could get into position. All images courtesy of Getty Images unless noted otherwise.